If there’s one thing that’s true about America, it’s that we love a good chase -- so long as the really, really bad guy gets caught. Whether the chase ends in a long stay in jail or a storm of bullets, these cases prove that the law always gets their man. Or woman, as the case may be. We partnered with The Blacklist on NBC to find the baddest of the bad, the ones that triggered the biggest, longest, most dogged manhunts in history. Tune in to The Blacklist on Monday, September 22nd at 10:00/9:00c to watch the capers of Raymond “Red” Reddington (James Spader), the Concierge of Crime -- who might just feel at home on this list of outlaws. It all began with a stolen car. 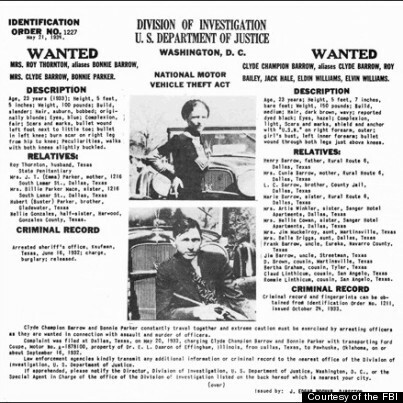 Yes, the crime that brought Bonnie and Clyde Barrow -- storied lovebirds and hardened outlaws -- to the attention of the then-Bureau of Investigation was not murder, robbery, or extortion. It was the humble charge of transporting a stolen Ford across state lines. By the time they were finished, of course, the couple was suspected in 13 counts of murder, as well as numerous burglaries, bank heists, car thefts, jail breaks, and kidnappings. The FBI issued a warrant for the arrest of the pair in May of 1933, but the chase dragged on for an entire year, eventually spanning a wide swath of the southern Midwest. 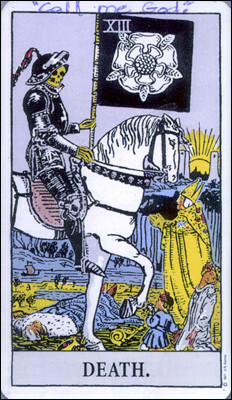 It ended, for the rabid young lovers, in a hail of bullets. All this despite the furious efforts of law enforcement, who blanketed the countryside with wanted posters for the pair. Police showed little hesitation in using deadly force. 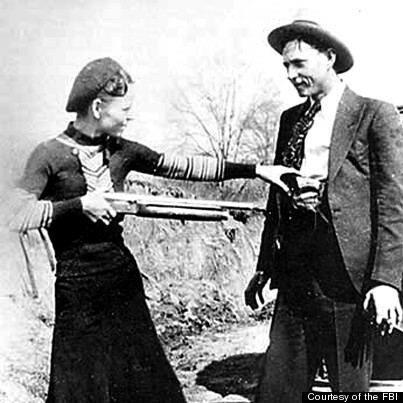 Bonnie and Clyde managed to survive several armed ambushes set by police; their gang was not always so lucky. Finally, their luck ran out. In the spring of 1934, the Bureau received information that the couple would travel to a remote part of Louisiana. The Feds, along with Texas and Louisiana troopers, saw their chance. 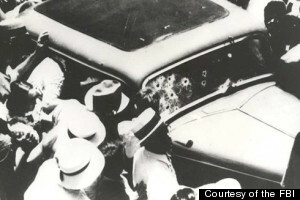 As Bonnie and Clyde tried to speed through their ambush, police opened fire. Both were killed instantly, but their memory lives on, perpetuated in media. Every year, a festival is held near the spot of their fatal ambush to commemorate their lives. The police sought Robles, a known mob associate, for the murder of Joseph Aronowitz, a witness who had been scheduled to testify in a Baltimore robbery trial. When three detectives approached Robles, he rushed them, snatching one officer’s revolver. At gunpoint, he forced the other two officers to give up their weapons. 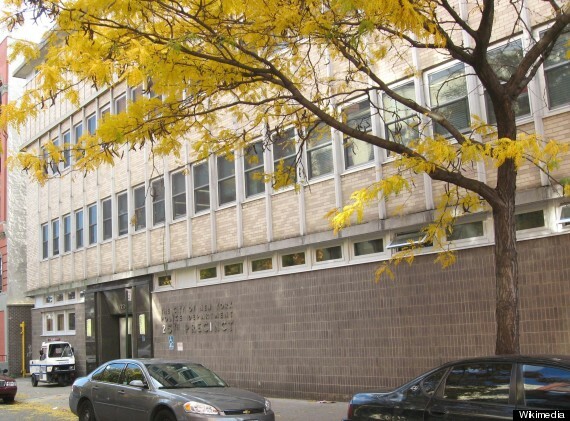 After an exchange of gunfire and three fruitless days of searches of subways and theaters, police received a tip that Robles was holed up in an East Harlem apartment. Twelve officers surrounded the exits. A group of detectives, veterans of earlier skirmishes with Robles, went to the door. Three received bullet wounds for their troubles. In response, police called up 200 officers and a squad of firemen to Robles’ 112th Street hideout. They were heavily armed with submachine guns and tear gas. Thousands of bystanders (“hundreds of thousands,” according to the AP) lined the roofs around the hideout, eager for a glimpse of the fight. For about an hour and a half that afternoon, Robles and police exchanged volleys of gunfire. At one point, tear gas bombs ignited a blaze in the building. Firefighters struggled to control it. The wily Robles twice attempted to stall -- by calling in a priest -- but his time had run out. True to an earlier vow, Robles didn’t come out alive. Officers found him lying in his undershirt in the bedroom of the apartment, dead from several gunshot wounds. Not everyone can be great at their jobs -- including criminals. 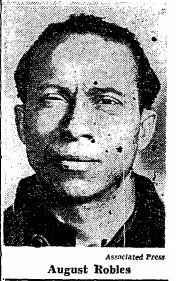 Witness Billie Austin Bryant, a bank robber and murderer who holds the dubious distinction of being the criminal with the shortest time ever on the FBI’s Top Ten Most Wanted List. 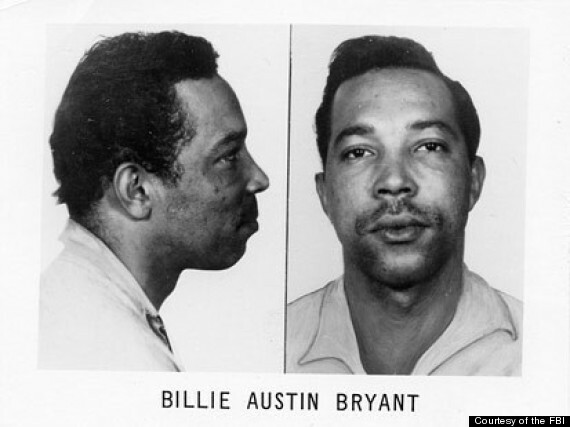 Yes, mastermind Billie Austin Bryant lasted an entire two hours before the FBI nabbed him. No one can say he lacked a flair for the dramatic, though. In 1968, Bryant -- then a few months into a minimum 18-year sentence for armed robbery -- stole a car from his Virginia prison’s auto shop and drove it straight through a chain-linked fence to (fleeting) freedom. He resurfaced in early 1969, driving an eye-popping maroon Cadillac and robbing a Maryland bank -- where he was previously a regular customer. The robbery drew the attention of the FBI, who sent three agents to Bryant’s wife’s apartment to question her. The agents unknowingly passed Mrs. Bryant on the apartment stairs, but ran into Billie at the door. He immediately opened fire, killing two of the agents. Reinforcements swarmed the apartment, but Billie escaped by climbing down a tree in back. His freedom was short-lived. After the FBI added Billie to their Most Wanted List, a neighbor alerted authorities that he had heard strange noises coming from his attic. The FBI found Billie there, lamenting that the door was stuck. Bryant was convicted of two counts of first degree murder for the deaths of the FBI agents, and sentenced to two life sentences -- to be served after the completion of his earlier sentence for robbery. He was punished again for smuggling in how-to texts on demolitions, allegedly to be used in prison breaks. 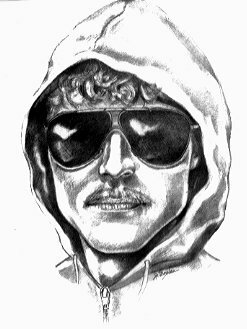 Perhaps no crimes have stumped authorities as much as those of Ted Kaczynski, better known as the Unabomber. Complicated by his reclusiveness and the use of commonplace components in his bombs, the search for Kaczynski remains one of the largest and costliest in America’s history. The numbers may not capture the fear that the former Berkeley mathematics professor inspired. In 17 years, he killed 3 and injured 23 with 16 bombs. But the vision of the hooded man loomed large in public consciousness, aided by the Unabomber’s targeting of a collection of inoffensive academics and airline employees through the (sort of) trusted United States Post Office. And it could have been much, much worse. 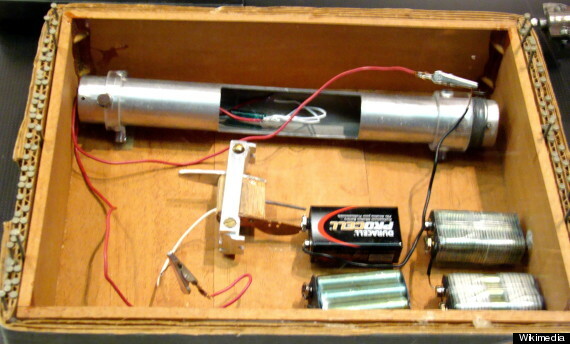 A bomb that Kaczynski planted on an American Airlines Boeing 747 failed to fully detonate -- although a dozen passengers were treated for smoke inhalation. The case finally broke in 1995, when the FBI, after internal debate, convinced the Washington Post to publish Kaczynski’s sprawling anti-technology manifesto. Stakeouts of the newsstands in San Francisco that sold the paper -- the city was suspected to be the bomber’s home base -- only turned up a disheveled writer who had already been vetted. But the manifesto’s style caught the eye of David Kaczynski, Ted’s brother, and his wife. They alerted the FBI, who found some 150 similarities in style -- enough, at least, to order surveillance. A small team of FBI staked out Kaczynski’s Montana cabin. They rented unassuming trucks, talked to neighbors and checked records of the Unabomber’s movements to see if they matched times and places from which bombs were mailed. They did. On a snowy April morning, 100 SWAT officers, lead FBI agents on the case and a park ranger who knew Kaczynski approached cautiously. 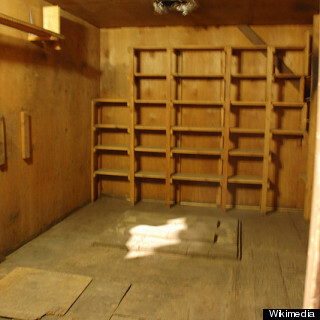 He surrendered without a fight -- a good thing, since the cabin was full of explosives. Kaczynski pleaded guilty to three counts of murder. As part of a plea agreement, he currently serves eight life sentences, back to back, without the possibility of parole. Unrepentant, he has bragged about his sentence in Harvard alumni literature. The snipers killed 10 and wounded 3 in the murderous spree, but their crimes stretched back farther than anyone imagined. At the start of the case, Maryland police -- backed up by the FBI and other state agencies -- had frustratingly little to work with. The victims were unconnected. The sniper removed shell casings and other evidence from the scene, and most early victims succumbed to the devastating .223-calibre ammunition, leaving few witnesses. The search focused (mistakenly, as it turned out) on a white van seen speeding away from a crime scene. In addition to local and state forces, the FBI mobilized 400 agents to work on the case. A tip line they set up revealed a promising lead: a man claiming to be the sniper called and said that he had robbed a Mobile, Alabama liquor store the previous month. Evidence had been left at that scene. Fingerprints on a shell-casing matched to 17-year old Boyd Lee Malvo and a mysterious, military-trained, father figure in his life -- John Allen Muhammad. 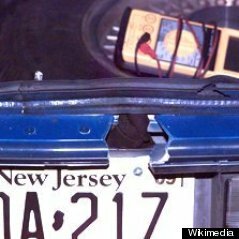 More importantly, it turned up a blue 1990 Chevy Caprice that the pair had recently bought in New Jersey. That car, still sporting Jersey plates, was spotted at a rest stop in Maryland. Authorities swarmed the area and even blocked off the exit with commandeered tractor trailers. The suspects were arrested without conflict. Inside the Caprice, investigators found a Bushmaster .223-calibre rifle, a bipod and a hole bored in the trunk. A Virginia jury convicted John Allen Muhammad on a count of first degree murder, and sentenced him to death. (He was also convicted on six counts of murder in Maryland.) At his appeal, Malvo, exempt from the death penalty due to his youth, testified against him. Muhammad was executed in 2009. Malvo was convicted on several counts of killing and received life without parole. On Monday, April 15th, 2013, two explosions ripped through crowds near the finish line of the Boston Marathon, shattering the peace of the normally festive day. The blasts were so powerful that they propelled bomb parts -- a pressure cooker filled with BBs and nails -- onto nearby rooftops. Three bystanders lost their lives. Another 267 were wounded, with many suffering grievous injuries requiring amputations. One more would be killed and another seriously injured in gun battles before Tamerlan and Dzhokhar Tsarnaev were brought to justice. For 102 hours, the nation held its breath. Immediately after the bombing, hundreds of federal, state and local investigators combed through the crime scene, an enormous 15-block stretch of Boston, and gathered surveillance video from neighboring businesses. 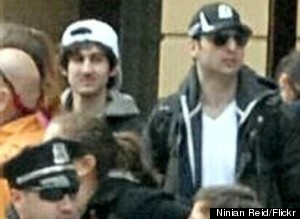 Two individuals stood out in grainy footage: a pair of men in hats and sunglasses who dropped backpacks at the scene. Despite the chaos of the day, the men barely reacted. The FBI appealed to the public for help in locating the men, who turned out to be brothers and naturalized citizens originally from the Chechen republic. Seemingly unafraid of the massive manhunt, the Tsarnaevs stuck close to home. The younger brother, Dzhokhar, worked out, shopped at Whole Foods and took to Twitter. After the FBI announcement, though, they began to feel the heat. On April 18, the brothers drove to MIT and, possibly seeking more weaponry, shot a security guard five times, killing him. (They couldn’t get his gun out of its holster, though.) In what would turn out to be their undoing, they then carjacked a entrepreneur in Watertown, Mass., forcing him to drive at gunpoint. The hostage escaped at a gas station and notified authorities, who quickly gave chase. For four long minutes, police and the brothers exchanged gunfire in the streets; the brothers tossed homemade bombs from the window of the car. The exchange ended with the elder brother dead, allegedly run over by Dzhokhar, a police officer seriously wounded and a wounded Dzhokhar on the loose. Thousands of law enforcement officials descended on Watertown and performed a street by street, house by house search of the eerily quiet suburb. Finally, on the night of April 20, a homeowner noticed a pool of blood inside the boat he kept in his backyard. Hundreds of police swarmed the scene. The injured Dzhokhar was brought in, bleeding and seriously wounded, without a fight. Tamerlan Tsarnaev died in a Massachusetts hospital from injuries sustained in his gun-and-explosive battle with police. Federal prosecutors charged Dzhokhar Tsarnaev with using weapons of mass destruction, which can carry the death penalty. The trial has been delayed due to challenges to the venue and difficulties with jury selection. He also faces charges for the assassination of MIT security guard Sean Collier.